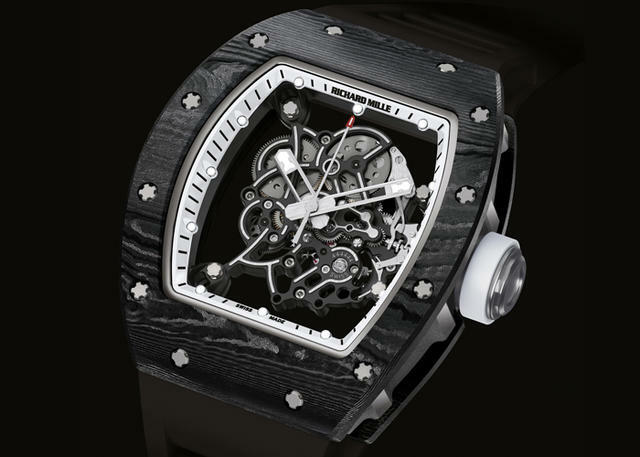 The tonneau-shaped tripartite cases of these new watches feature NTPT Carbon top and bottom bezels, and blasted titanium case bands; the cases measure in at 49.90mm by 42.70mm. The White Legend is distinguished by its white inner bezel, hands and crown protector, while the Dark Legend is inky black with a red crown protector and detailing. Inside each beats the caliber RMUL2, a manual-winding skeletonized movement that is capable of withstanding accelerations of over 5000 Gs, allowing great performance on the wrist—particularly among those with a powerful golf swing. 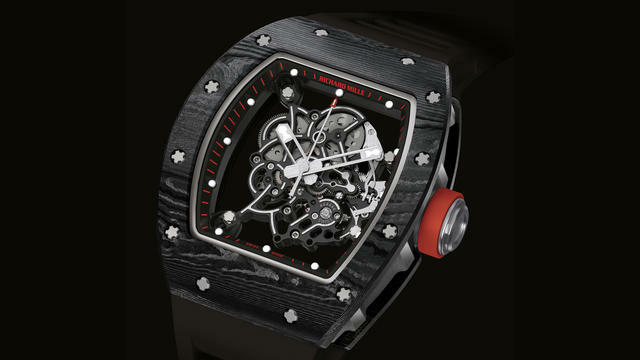 The double-barrel movement, with 55 hours of power reserve, features a free sprung balance with variable inertia. The baseplate and bridges are in grade 5 titanium, coated in PVD, and the spline screws for the bridges are also grade 5 titanium. Frequency is 28,8000 vph. 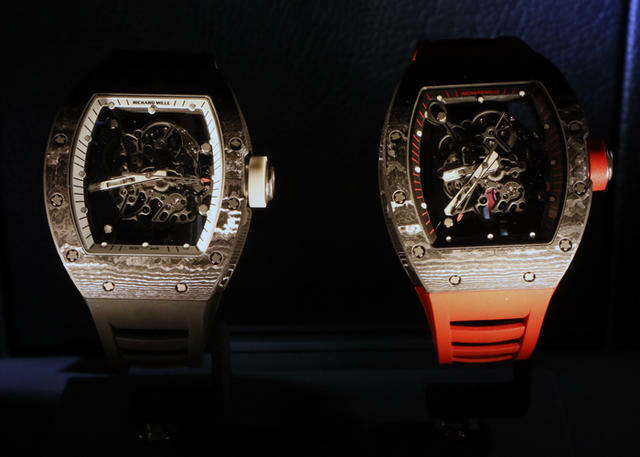 Just ninety examples of each watch will be produced, and they are available at Richard Mille boutiques in Beverly Hills, Bal Harbour, Aspen and Las Vegas, as well as authorized Richard Mille retailers in the Americas.